The most exciting collaboration in the local makeup scene just happened this holiday season. 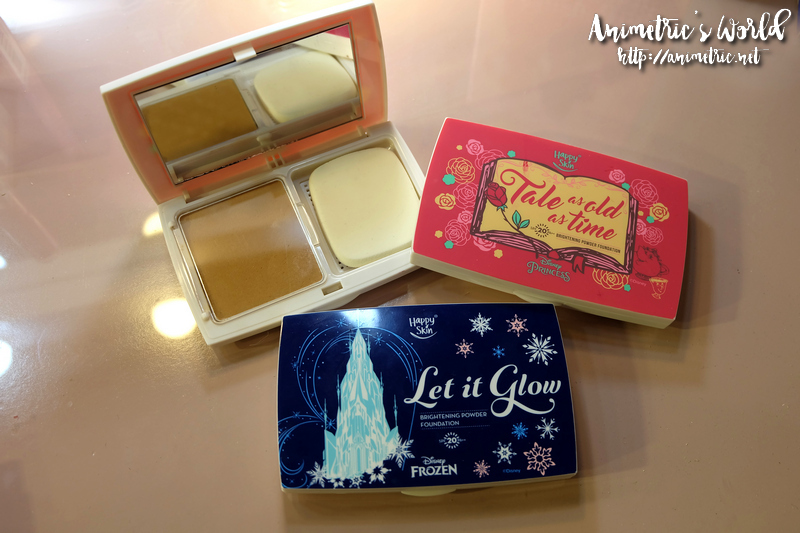 Homegrown brand Happy Skin recently unveiled its Happy Skin Disney Princess Collection! I first got wind of this last October. I remember confirming for the launch right off the bat. The stars of this collection are definitely the lipsticks. 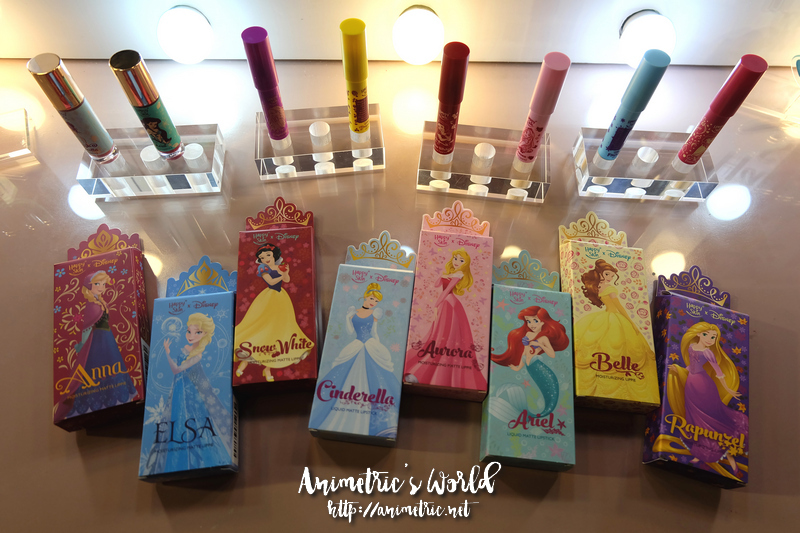 Available in several shades and formulations, you can now be Anna, Elsa, Snow White, Cinderella, Aurora, Ariel, Belle, and Rapunzel. Choose your lipstick type (Moisturizing, Moisturizing Matte, and Liquid Matte) and then pick a shade. 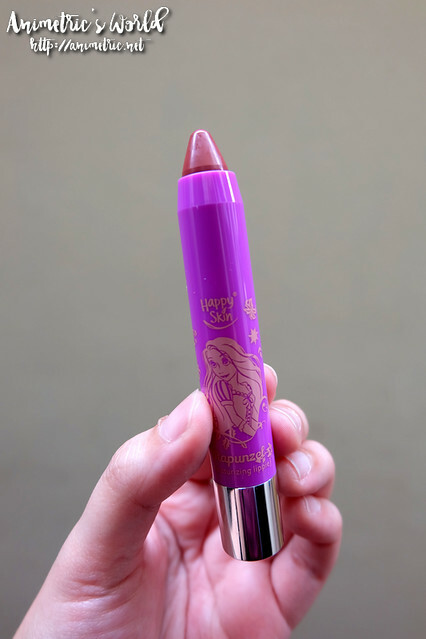 Prices range from P599 to P699 per lipstick depending on what you get. 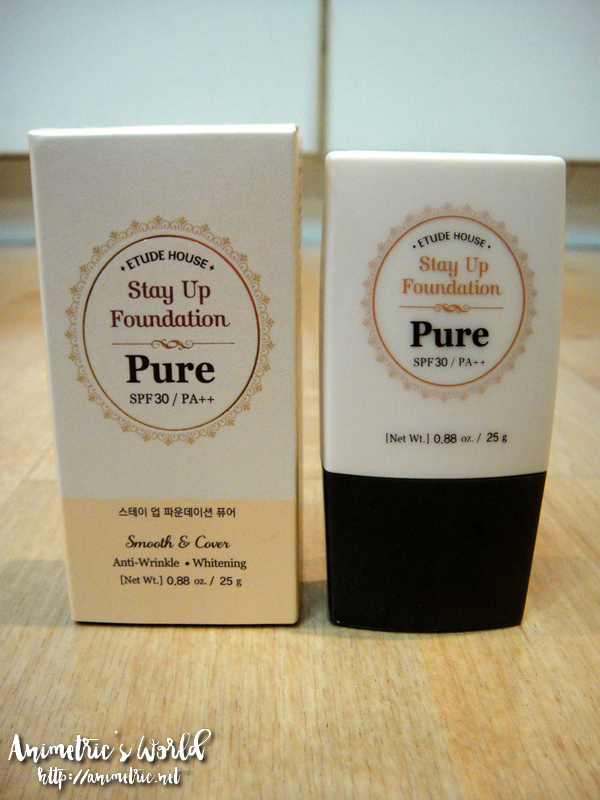 Aside from lipsticks, there’s also Brightening Powder Foundation (P1,499) in 2 shades: Soft Beige and Natural Beige. Last but not least in the collection is the Enchanted Rose Luminous Mesh Blush in Peach (see above) or Pink. 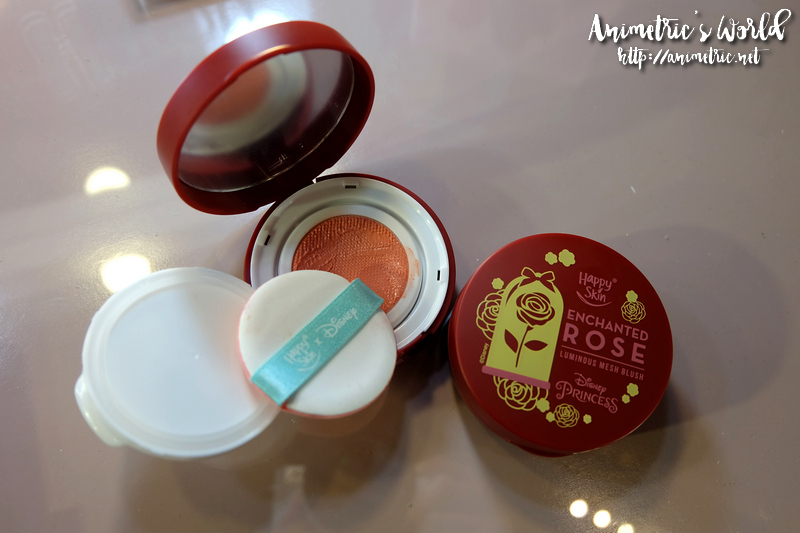 Priced at P899, this reminds me of the Korean cushion blushes which have recently become the rage. So which lipstick did I take home? It was a hard decision as I was torn between Aurora, Rapunzel, and Belle. Eventually I decided on Rapunzel. It’s a rose-toned shade. I have a penchant for rose shades when it comes to lipsticks. 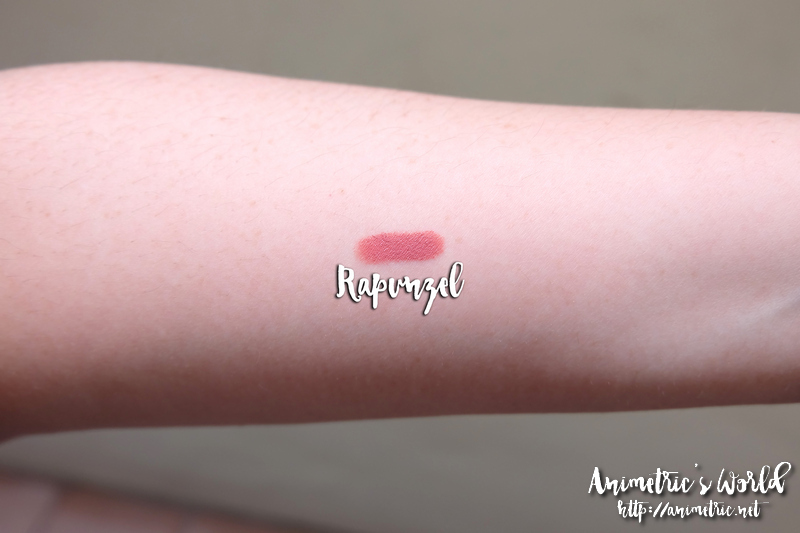 Here’s a swatch of Happy Skin Disney Princess Moisturizing Lippie in Rapunzel (P599). Love this color! Definitely an MLBB (My Lips But Better) shade. 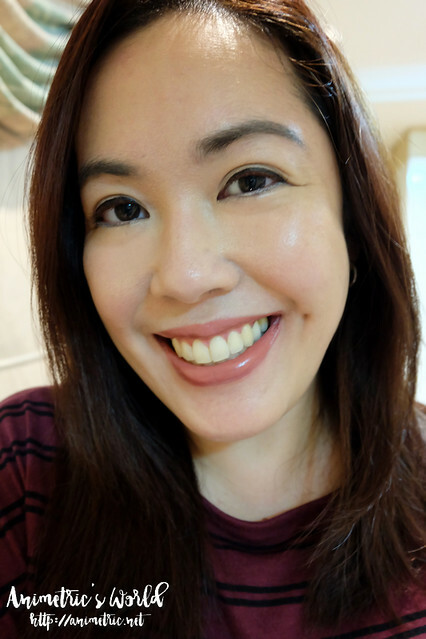 This is officially my favorite Happy Skin lippie! It glides on soooo smoothly. I couldn’t believe how smooth it was! The shade and finish look very natural. It’s the perfect in-between matte and creamy lipstick — it’s neither wet nor dry looking. It’s pretty lightweight. You don’t feel like there’s something thick coating on your lips. Downside? It does transfer a lot so you have to be mindful when you’re eating or drinking. 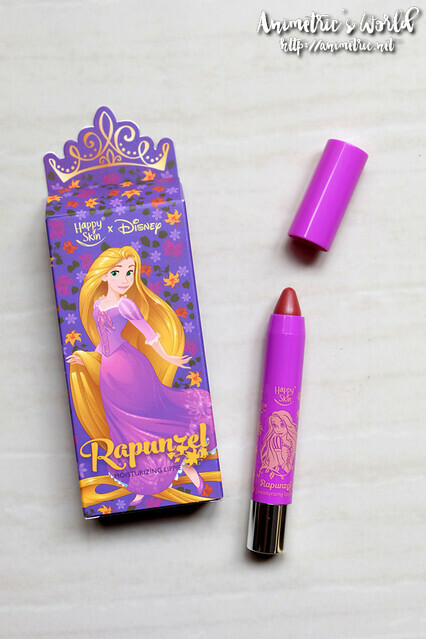 The Happy Skin Disney Princess Collection is available online at http://store.happyskincosmetics.com/. You can also check http://www.happyskincosmetics.com/stores for a complete list of stores if you prefer to shop offline. 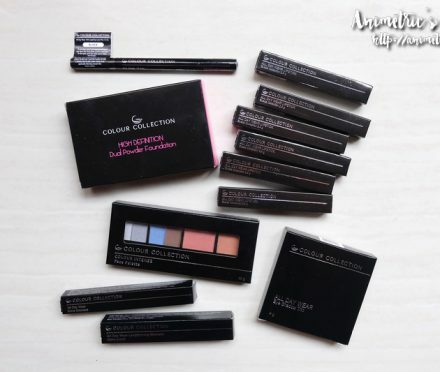 BDJ Elite Box Colour Collection Giveaway! My daughter will be very excited when she hears about this. The shade you tried looks very natural. Your happy skin Disney collection sis looks pretty. I like their design it’s lovable. I love the lipsticks too. I love Happy Skin. 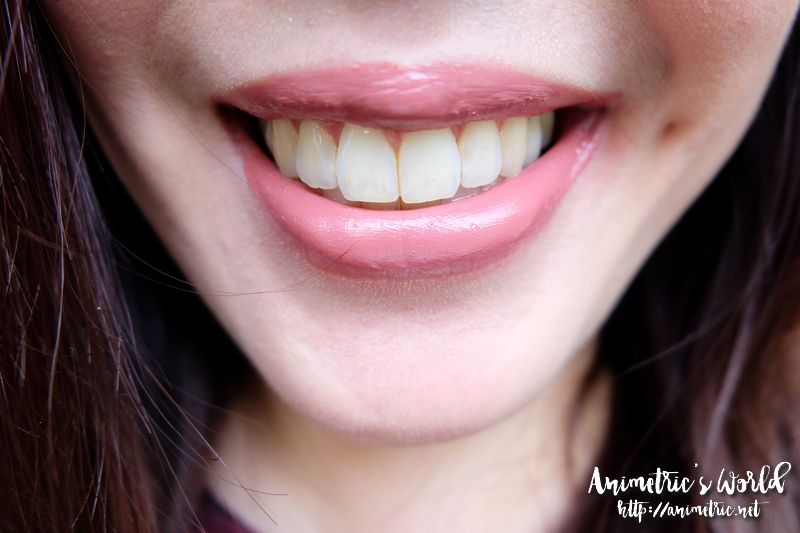 They are friendly to my skin and lips. And I also love the design of their lippies and other make up. They arent boring.